At the very least, the one that started it all for me. Picture me some twenty-five years ago, wandering through the late-night TV schedules, and chancing upon Channel 4’s Late Licence. Being broadcast was a cyberpunk anime from Yoshiaki Kawajiri called Cyber City Oedo 808. And so an obsession was born. Last week, All the Anime tweeted that they would be releasing Cyber City Oedo 808 on Blu-ray in 2019. I have to admit I whimpered a bit. This classic OVA trilogy comes from a time when anime was still painted onto cels and shot on film, so this Blu-ray ought to look awesome. Speaking of vintage anime, my first review last week was for Angelic Layer, a series from around the turn of the millennium that has now had the HD treatment. It’s a show about kids playing with dolls. Only these dolls come to life on specially designed arenas, and take part in a battle tournament with martial arts and special moves. It still hits that broad audience demographic, but if you want to know if Angelic Layer has dated, then you’ll have to click on the review. Next it was the turn of Battle Girl High School, a high school, slice-of-life anime, where the school girls are also magical girls who battle against monsters that threaten humanity. There’s not a lot that I can add to that, other than to say that I have watched more compelling anime shows in my time. It is notable though in that it’s a Blu-ray only release from MVM, an indication that the age of the anime DVD truly is coming to a close. Urusei Yatsura Movie 3: Remember My Love. The first two Urusei Yatsura movies were directed by none other than Mamoru Oshii, the man who would later go on to direct Ghost in the Shell. You’d expect odd concepts and bizarre mindtrips from him, but it was the third movie directed by Kazuo Yamazaki that took Urusei Yatsura to a really weird place. It’s a movie with a spurned fairy godmother, a curse, a time traveller from the future, a weird circus, and where the main protagonist gets transformed into a small, pink hippo. Weird doesn’t begin to describe Remember My Love, but thankfully it’s watchable even with all that. MVM released Urusei Yatsura Movie 3: Remember My Love, on DVD back in 2002, and if you look around, you may be able to find some sealed copies, as well as second hand. Here’s my review of the film. 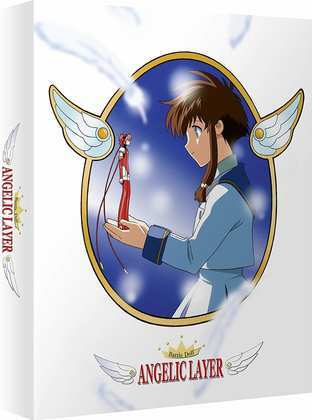 All the Anime released Angelic Layer on Collector’s Edition Blu-ray back on September 24th. 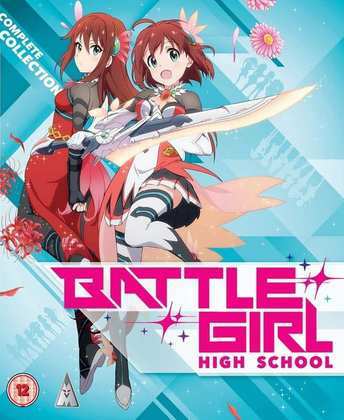 MVM released Battle Girl High School on Blu-ray on October 1st.